In 1963 Mr. Liao was born in Taichung City, Taiwan. Now he is the advisor of Green Bamboo Painting Association, the Director of Taiwan Pottery and Porcelain Engraving Painting Association, Executive Vice Dean of Beijing Jin Hui Hong Calligraphy and Painting College and its senior art advisor and professor, Vice Dean of Beijing People’s Painting College, Vice Dean and the senior art advisor of Szechwan Ba Shu Calligraphy and Painting Institute. Besides, he is a professional painter and a fine arts professor. He was a Taiwan Vice Chairman of Japanese Culture and Arts Alliance, and a member of Taiwan Ink-love Painting Association. 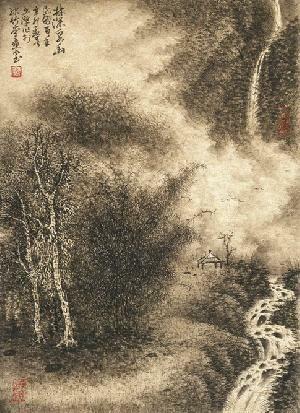 At the age of 12 he began to learn Chinese Ink-wash painting. At the age of 16, he learned Western painting. When he was 20 years old, he held a personal art exhibition for the first time in his life. By now he has held several tens of personal art exhibitions. He has participated in international expositions worldwide many times to exhibit his painting works. 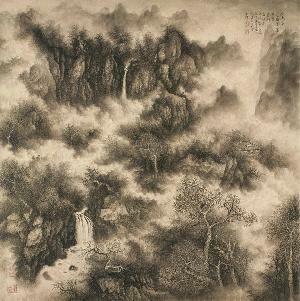 Hang Tang is a vendor for international Calligraphic and painting arts. His woks are treasured by Taiwan government agencies, Taiwan people, art Museums worldwide, international individuals, and have been auctioned at international art auction centers. His works appear in both private and public collections all over South Africa, Canada, Japan, Malaysia, China, UK, the USA, Hong Kong, Macau, Iran, Korea and Singapore. Now he is the painter for an international art distributor, and is specializing in Chinese ink-wash paintings, oil paintings and sculptures. Everyone has a pure land in his heart. When you are alone and quiet, see your inside. Then, you can enter the pure land, and spiritually roam in it. I name it hermit mountain! How about you?